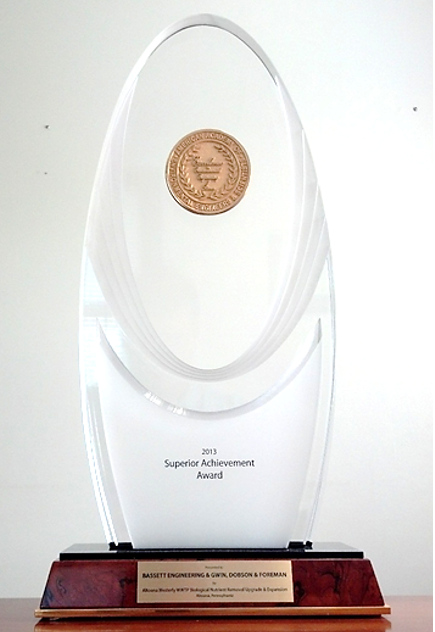 Bassett Engineering is the proud winner of a number of national and state-wide awards, including the AAEES Superior Award, PSATS and PSAB Road and Bridge Safety Improvement Awards. The American Academy of Environmental Engineers and Scientists gave Bassett Engineering and its partner GDF its Superior Achievement Award, its highest honor, in 2013 for the BNR Upgrade and Expansion of the 10.8 MGD Altoona Westerly WWTP. 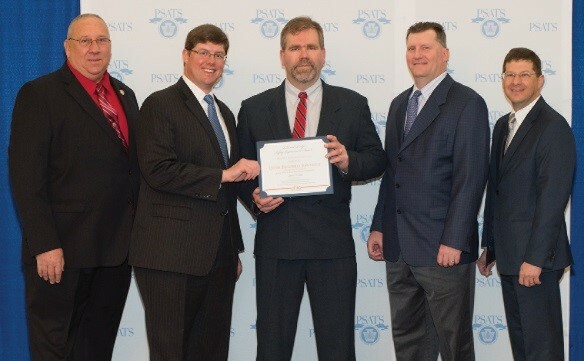 We received the Award at the National Press Club in Washington DC. Westerly employs an innovative and unique process, the Hybrid Bardenpho with Step Feed to achieve near-ENR levels of Treatment without the use of any chemicals. Due to older, leaking sewers, Westerly receives severe weather peak flows. The Step-Feed enhancement of the Hybrid Bardenpho bypasses peak flows to the downstream end of the activated sludge process, allowing Westerly to treat extended peak flows over 50 MGD without upsetting the nitrification process. Hydraulic peak capacity is 60 MGD. Since Start-up during Tropical Storm Lee in 2011, the Combined Sewer Overflows and Storage Tanks in the collection system have not operated. Pennsylvania sets annual cap load limits on effluent Total Nitrogen and Total Phosphorus loads; plants that discharge below this cap can trade credits with underachieving plants. In just three years Westerly and its Sister Plant Easterly have sold hundreds of thousands of dollars of Nutrient Credits. By maximizing the reuse of existing facilities, the two plants, with combined design capacities of nearly 20 MGD, cost less than $60,000,000 to upgrade to nutrient removal. The Pennsylvania State Association of Township Supervisors named Penn Township in Lycoming County as the Bridge Winner of the 33rd Annual Road and Bridge Safety Improvement Awards. Penn Township identified four bridges that were structurally deficient and decided to bundle the bridges together under three separate contracts to take advantage of ACT 89 and use Act 13 impact fees in the summer of 2014. Online PennBID bidding was used. Prefabricated structures were used: a precast concrete arch bridge and two with aluminum box culverts on Logue Hill, Temple and Derr Roads respectively. A reinforced concrete slab bridge on Rishel Hollow underwent concrete repairs. The Pen nsylvania State Association of Township Supervisors named Upper Fairfield Township in Lycoming County as an honorable mention Bridge Winner of the 34th Annual Road and Bridge Safety Improvement Awards, Upper Fairfield Township bundled the road repairs and bridge replacement together as one project under two separate contracts to take advantage of ACT 89 and use Act 13 impact fees. Online PennBID bidding was used. An aluminum box culvert replaced a pipe arch culvert. The embankment was cleared and stabilized with new rip-rap and the roadway was full-depth reconstructed for approximately 550 feet. Installed new guiderail. 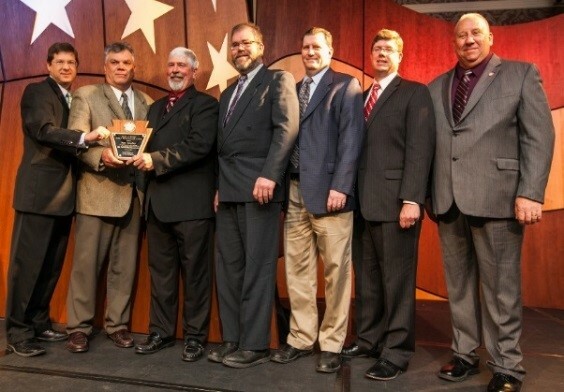 The Pennsylvania State Association of Boroughs named Renovo Borough in Clinton County as the Winner of the 34th Annual Road and Bridge Safety Improvement Awards Program to be presented at its 2016 annual convention held in Hershey in June 2016. 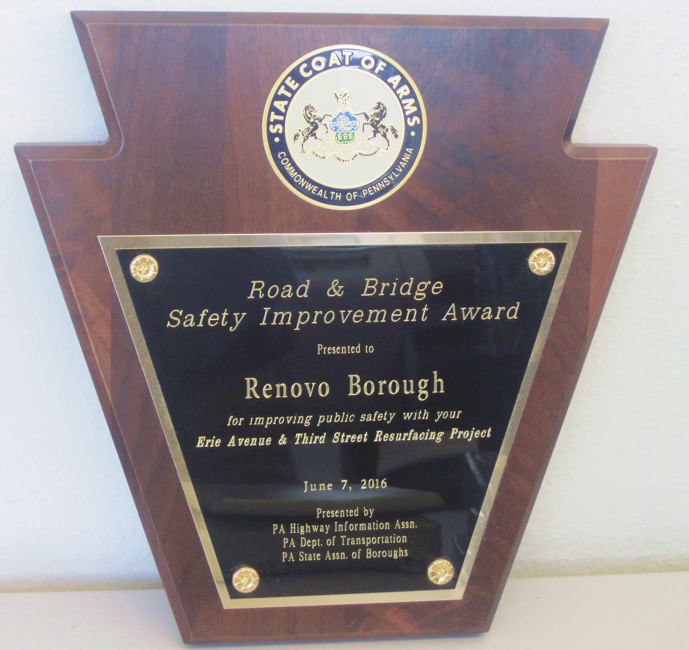 In 2015, Renovo Borough obtained much needed funding from both the CDBG and USDA grant programs to address deteriorated roadway pavement on Erie Avenue and Third Street. Renovo Borough bundled the two (2) road projects together, under separate contracts. Online PennBID bidding was used. Erie Avenue went from 8th to 13th Streets for 1,555 LF and Third Street went from Huron to Erie Avenues for 422 LF. If you’re ready to start a new project, or to request more information, call us. Copyright © 2019 · Bassett Engineering, Inc. · site designed and powered by Xtego.